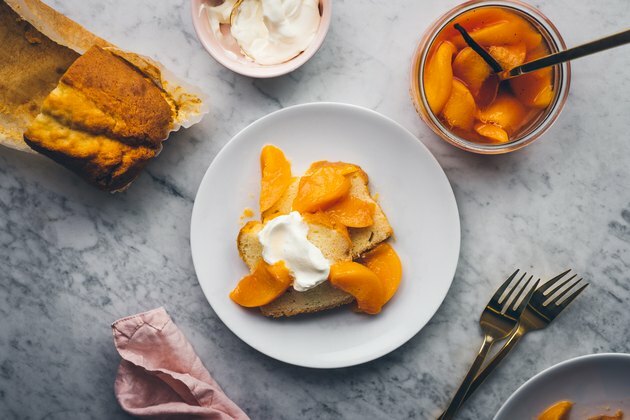 Peaches are at their indisputable best only during one time of the year—and that time is now! Their texture and flavor are full, bright, and juicy, and this recipe for poaching them in wine intensifies the whole experience. The white wine is an especially delicious addition because it accentuates the flavor of the peaches in the loveliest of ways. This, added to the already amplified flavors drawn out from the poaching process, makes this recipe an incredible summer dessert. Spoon these peaches over a scoop of ice cream or a slice of cake. Score a small "x" into the bottom of each peach with a paring knife. 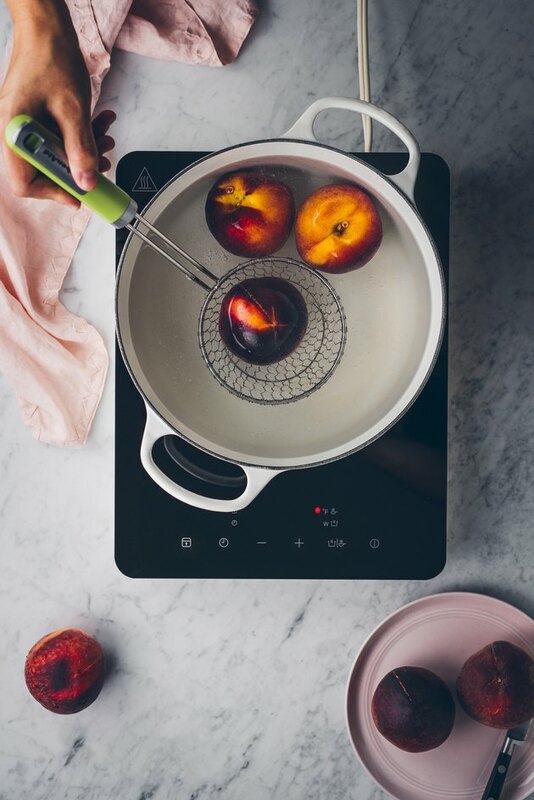 Submerge each peach in a large pot of boiling water for 20-30 seconds. 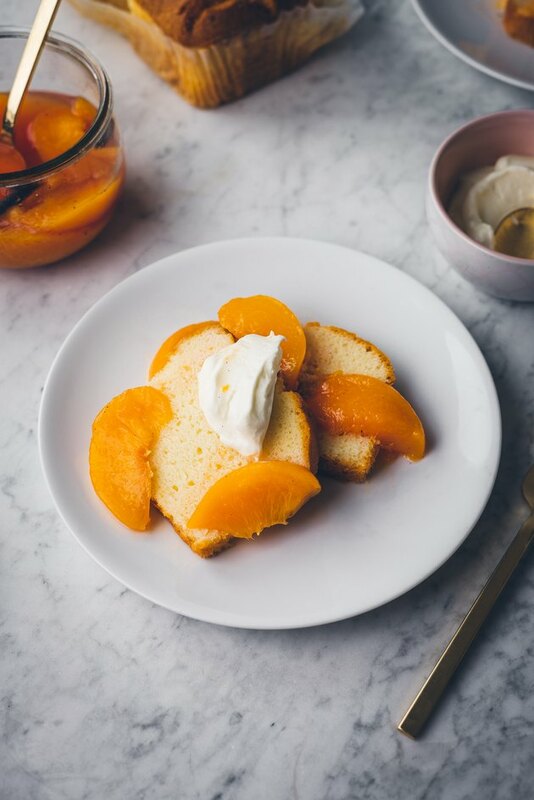 If possible, use freestone peaches for this recipe. It will make pitting the peaches a much easier experience. Transfer the peaches to an ice bath to cool. Carefully peel and pit each peach and slice into 3/4 inch wide wedges, then set aside. 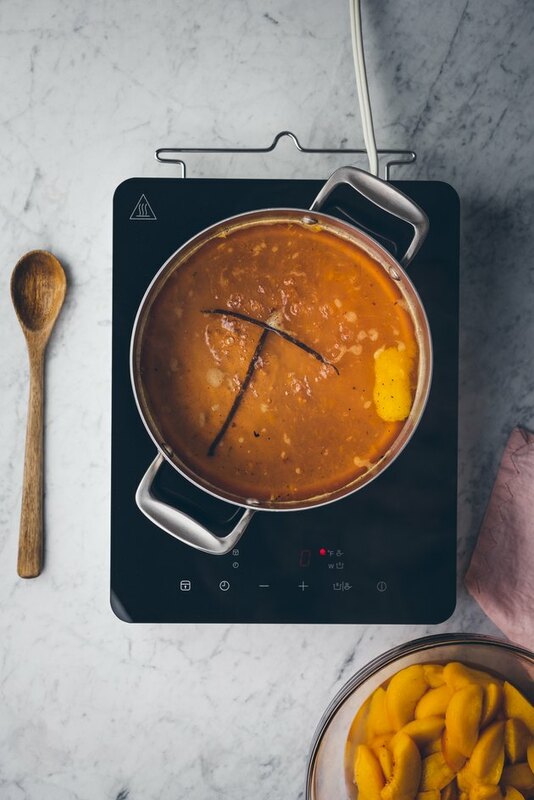 Add the wine, water, sugar, lemon peel, vanilla bean pod and seeds to a medium pot and bring to a heavy simmer, stirring often. Once the sugar has dissolved, adjust the heat so that the liquid is gently simmering, then add the sliced peaches. 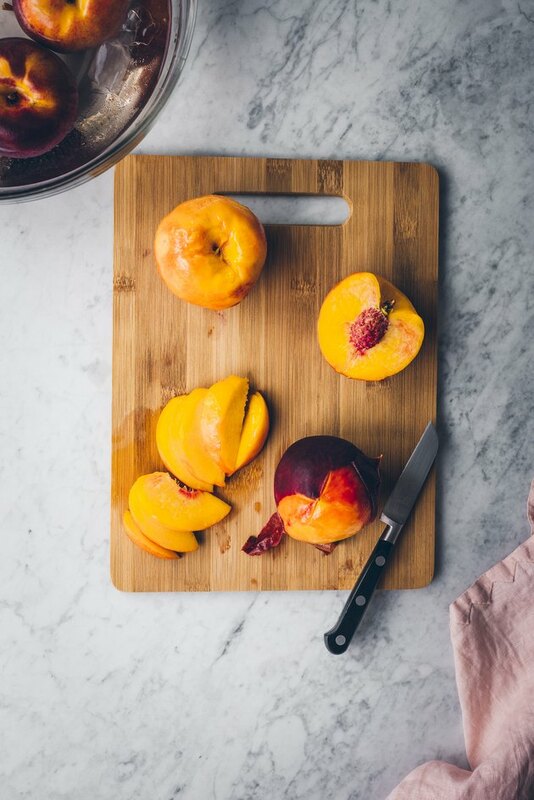 Poach the peaches until they're tender, but still maintain their shape, about 5-6 minutes. Remove the peaches with a slotted spoon and transfer to a large sealable bowl or jar. Increase the heat and allow the mixture to boil until reduced by half (about 20 minutes). Pour the syrup over the peaches. Let the peaches cool and serve at room temperature, or place them in the fridge and served once chilled. Serve over a slice of pound cake or ice cream and enjoy!